Birds are an essential part of our global ecology and economy. For many people, the benefit of birds is local and personal. 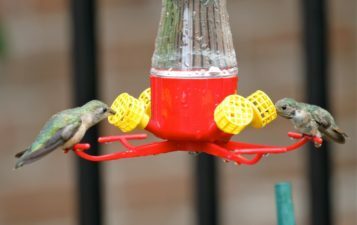 Bird-Friendly Communities is an initiative of Houston Audubon that aims to transform the greater Houston area into a thriving community that supports birds, provides more accessible opportunities for everyone to experience the wonder and joy of bird-watching, and patch by patch, yard by yard, park by park creates important corridors of healthy habitats for birds, butterflies, and other pollinators. On September 24, 1969, The Houston Audubon Society was formed by a dedicated group of eighteen men and women who saw the need for environmental education for youth and environmental advocacy for wildlife habitat. Today, Houston Audubon operates basically on the same values and purposes established by its founding fathers which were: to promote educational, scientific, literary, historical, and charitable purposes; to provide education and instruction in natural science through nature walks, field trips, and seminars, both to its members and through programs in the public school system; to create awareness of conservation problems and to explore solutions for said problems; to promote conservation of wildlife and natural resources through education, maintenance and management of sanctuaries and coordinated activity with governmental conservation agencies. The Houston Audubon website offers information on birding, classes, workshops, coastal habitat restoration, and more. Northern Mockingbirds have been known to so skillfully imitate sounds such as squeaky gate hinges, sirens, and barking dogs that even an acoustical analysis could not tell the difference between the mockingbird and the original sound. For all other inquiries, please contact the Houston Audubon office. Explore our recent programs and events. Join us! Join the iNaturalist citizen science project and make observations in April to help Houston win against cities around the Globe. In 2018, Houston came in second for number of species. Will you help us be number one in 2019? For more information, visit http://citynaturechallenge.org/. 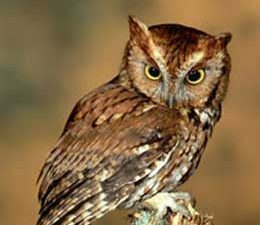 Listen and look for owls in one of our urban sanctuaries. You’ve come to the right place! 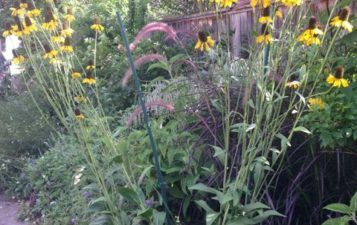 Remember the basics of a bird-friendly community: plant native plants, add a water feature, limit threats, and add supplemental support. The birds in my neighborhood are becoming a nuisance. What can I do? We recommend making peace with your bird neighbors. Birds can play important roles in our natural systems, and when they become a nuisance, it’s often because we humans have taken up their space or simply don’t understand their behavior. Laws vary around the country for non-migrating birds, but it is helpful to note that it is illegal to disrupt migrating birds and their nests. Note the bird’s color, shape, bill size, and behavior. You can consult one of many excellent hard copy or online field guides here or do a quick skim of our Gulf Coast birds to find your bird. Wild birds may appear abandoned, but parents may actually be watching them as they learn to survive outside the nest. Take a moment to assess the situation and wait for the parent to return. For injured birds, call the Wildlife Center of Texas at The Wildlife Center of Texas.